Semantic search is a new technique used by the search engines. It is most evident in Google’s new hummingbird algorithm. Basically, semantic search incorporates user intent along with an interpretation of the search itself. These search engines have become smarter so that they may better assess what a search is actually being done for. 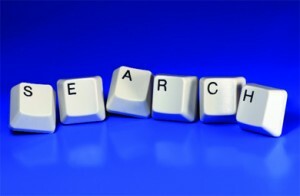 In the past searches have been wide ranging, incorporating multiple possible topics. This is becoming less and less the case. Although this is a drastic improvement it also changes the way that people must set up their content in order to become high ranking in the search engines. Don’t get lost in the technical jargon. We have come up with some very simple steps in order for you to optimize your page for semantic search- even if you have not quite grasped the topic in full. This is a new, wide-spreading technology so full understanding will come with time. What is important is that you fully understand the fundamentals, as well as how to curate your content appropriately. Yes, we just told you that it’s not important to fully understand for the purpose of this article. The fact remains, however, that you will eventually need to understand semantic search in order to exploit it. You don’t have to be an expert on the topic, but researching a few pieces on the fundamentals of semantic search, as well as how to best curate your content, can be exceptionally helpful in your endeavors. You’ve taken a good first step in reading this article, but you will certainly need more in-depth information on what the subject actually is versus how to use it. Perhaps you already understand it. That’s great, but even those who understand can benefit from additional research. Recent evidence has shown that social media is becoming more and more prominent in the search engines. For this reason it is imperative that you properly align your social media and SEO campaigns. They should be, in essence, one and the same. No longer are these marketing types wholly separate. Rather, they are now overlapping considerably. In addition to being included in the search engines, aligning these two all-important campaigns has been shown to viably convert users from your social media sites to your blog or website. Social media also gives you the opportunity to learn your target audience. Once you know your target audience, you are better able to curate the appropriate content, which in turn leads to content ranking high in searches your target audience conduct. It’s a never ending circle which can be broken without proper execution. Semantic search relies heavily on HTML5 mark ups. These mark ups tell the search engines what your page is about. You should include all relevant information. If you are unsure as to what is appropriate for your site, you can check out schema.org. They have a listing of all relevant semantic mark ups to make your life easier. Many people highly advise small businesses to add their company’s name, phone number, and address in their semantic mark ups. Although many things have changed with the new way search engines assess content, the most basic SEO techniques still apply. You should ensure your site is optimized for as short a page loading time as possible. Optimization for site maps and website architecture, is still entirely necessary. Keywords are still important so that search engines can better assess where your pages belong in the search engines. Your website still needs to be attractive, readable, and accessible. Combining these basic techniques with the new ones based solely on semantic search can help to increase your search engine ranking drastically.